Its apparent that State Senate President Pro Tem "Kevin de Leon the First Staffer and current CD 4 City Council Candidate (via the San Fernando City Council and LACCD) Steve Veres, is becoming the "Campaign Bad Boy", as he and "Private Citizen/Volunteer Campaign Consultant" John Shallman play loose with Campaign Financing Rules. Honest!! John Shallman was working for free (prompting many, including myself to LMAO!!). Photo via the LA Times. ** BTW, to Veres for City Council Campaign Spokeshole Brian Van Riper, were the percentage (and total) of contributions from those "associated with the Central Basin Water District", higher than the number originating from within CD 4? Graph via the LA Times. 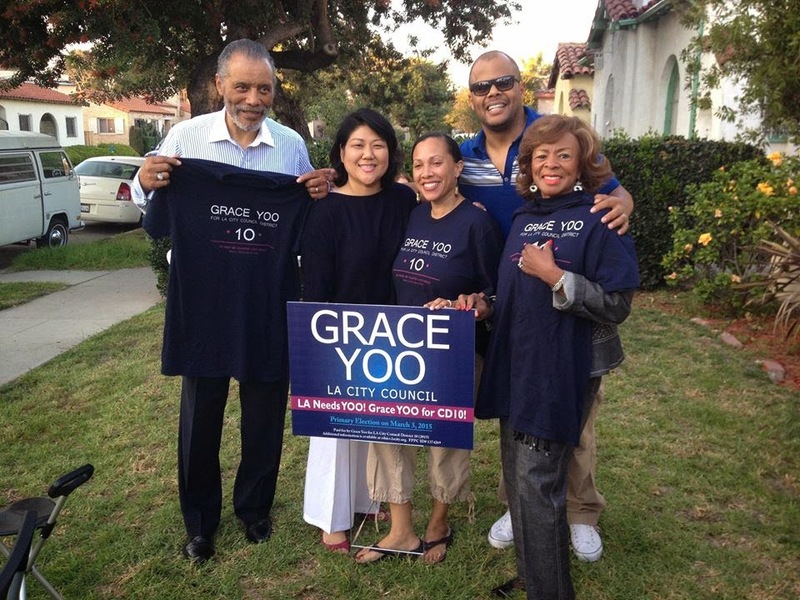 CD 10 City Council Candidate Grace Yoo had some great company on the Campaign Trail in Leimert Park, with CD 8 City Councilman Bernard Parks (with family) joining her for a "Meet & Greet BBQ". We bring you this Special Message from 39th AD Assemblywoman Patty Lopez (via the Facebook Page of the Cindy Montanez for City Council Campaign). CD 6 City Council Candidate Cindy Montanez with Assemblywoman Patty Lopez. We both want to improve and protect the integrity of our communities. We want to improve the delivery of public services. She is knowledgeable, intelligent and has the energy, experience and most important the willingness to help establish the much needed collaborative effort between my office and the City. I will ask my supporters and friends to please join me in supporting Cindy Montañez for City Council. Seriously, what's the City of San Fernando connection here? 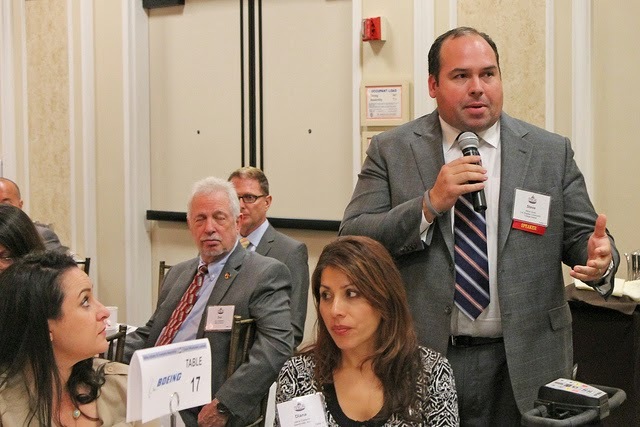 Both Veres and Nury served on the San Fernando Council, and now they are seeking election and re-election to LA? Is there some bizarre financial deal? Come to think of it, Montanez also was on the San Fernando Council, right? Good for Patty Lopez, still raging against the crooked Valley machine. WHY DOES ANY ONE HIRE SHALLMAN FOR ANY THING? No coincidence that Nury and Veres were busted for sending out illegal mailers. 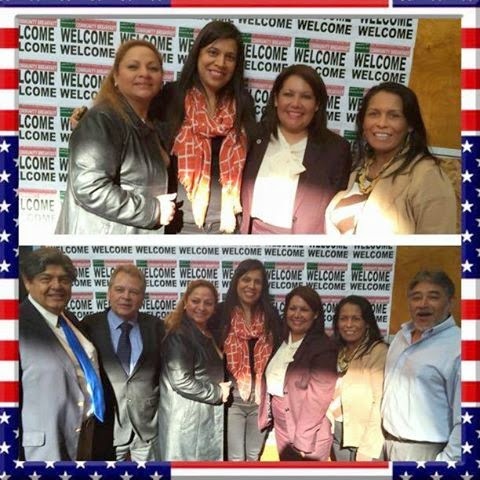 Montanez was also in San Fernando, but she was there before them and it's obvious that Nury and her half a million $$ special interests funded campaign is on one side while Cindy Montanez, Patty Lopez and their $10,000 campaigns are with the community. Take down the Valley Machine!